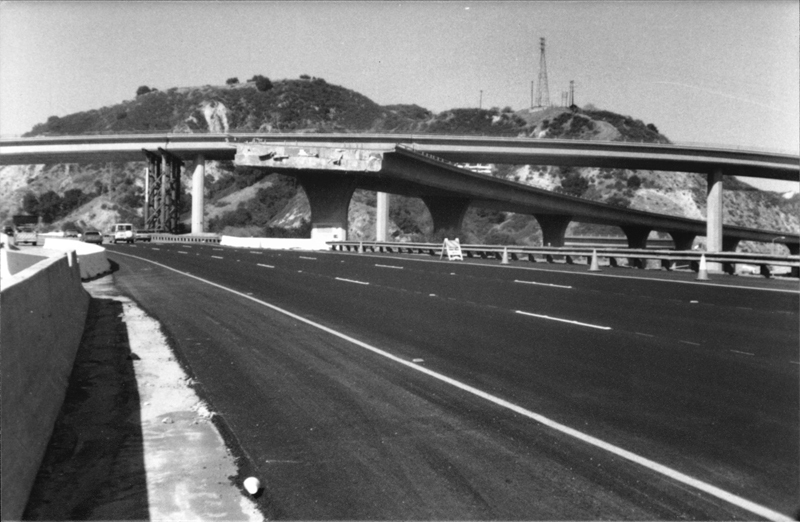 It was deja vu all over again in the Newhall Pass, where the southbound 14 Freeway overpass collapsed just as it had done in the 1971 Sylmar earthquake. This north-facing view from the center divider on Interstate 5 dates to a couple of weeks after the earthquake, when the freeway reopened. One person died as a result of collapsed bridges, and it was this one. Shortly after the earthquake hit Monday, Jan. 17, at 4:31 a.m., 46-year-old LAPD Motor Officer Clarence Wayne Dean, badge No. 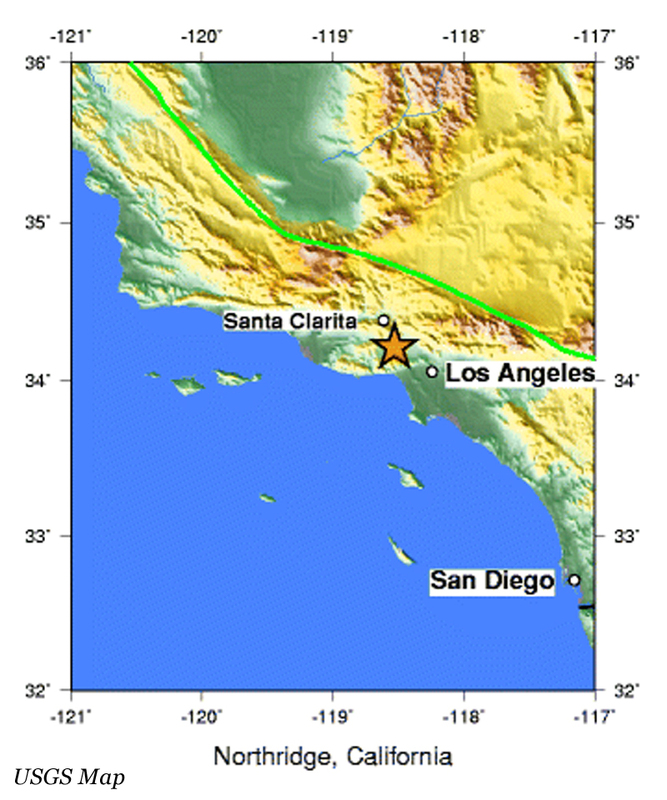 13994, was on his way to work at the LAPD Van Nuys station from his home in Lancaster when he flew off of the collapsed bridge on his Kawasaki Police 1000 motorcycle. Noticing too late that the bridge was down, he sailed 75 feet through the air and landed on I-5, 30 feet below. The 5/14 split in the Newhall Pass has been named the Clarence Wayne Dean Memorial Interchange. LW9406: 19200 dpi jpeg from original 3½x5" photograph by Leon Worden.